The Staff Appreciation and Recognition Plan has been Renewed! Staff Human Resources is pleased to announce the Staff Appreciation and Recognition (STAR) Plan has been renewed for FY 2018-19. At UCSC, the STAR plan will be funded at the departmental or divisional level. The Office of Planning and Budget will notify principal officers regarding funding for the STAR Program. Units will need to follow appropriate fund usage and/or restrictions. For example, general funds may not be used for non-general funded positions/functions. 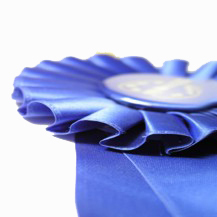 Federal funds are generally not allowed for awards, unless specifically approved by the granting agency. Award distribution reports by fund source and personnel program are made to the Office of the President at the end of the year. All awards are reported, regardless of fund source. Divisions and departments may begin to process awards immediately. This process does vary by division so we ask that you please communicate with your supervisors/managers regarding the implementation of the STAR Plan. Nominations may be submitted at any time during the 2018/2019 fiscal year prior to June 15, 2019 and will be processed on the next available payroll cycle. If you have questions about the guidelines or processing of awards, please contact Maria Gonzalez-Ivens, Compensation & Operations Manager at mgonz182@ucsc.edu or 831-459-5444. For questions regarding funding, please contact Planning and Budget.